In many modern homes today, the television with all its other media components isn’t just an accessory that is part of a room in the house — there is a whole room dedicated to it. This room has a number of different names that many people tend to use synonymously — media room and home theatre. However, there is a massive difference between each of these rooms, which is important to recognize, especially if you are interested in installing one or the other in your own home. Here’s what you need to know. Let’s start with the general differences between the two rooms. Home theatres are, as their name suggests, specific to watching movies, television, sports or anything else that can be watched via television or projector. It is meant to be a viewing experience, where the audience is quiet and engaged. 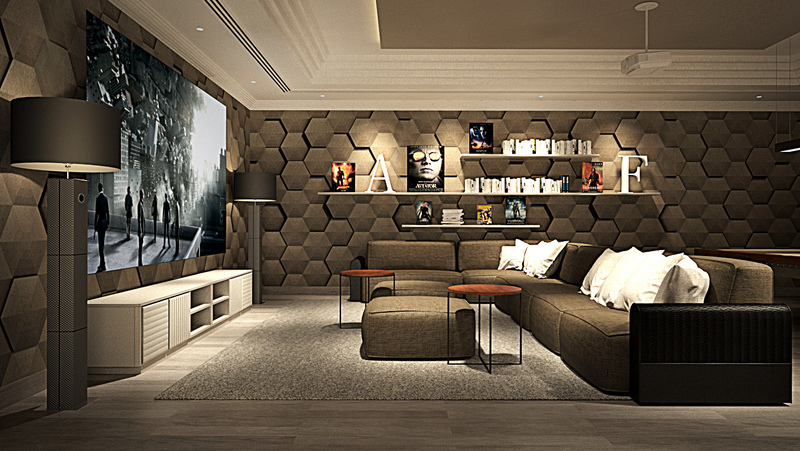 A media room, however, is a room that is meant to be multi-functional. This room offers a more relaxed environment, a place where all the same things that are watched in a home theatre can be watched, but people are talking, eating and drinking, and turning the room into more than just a concentrated viewing experience. 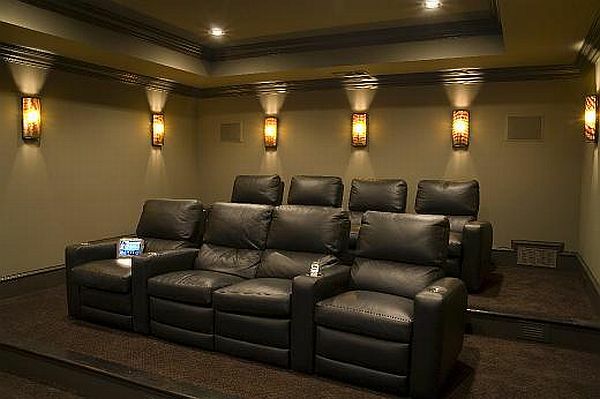 Seating in a home theatre is, like in a real theatre, locked in place with chairs that are meant to make you as comfortable as possible, so you can concentrate on what is happening onscreen as opposed to adjusting in your seat. Each of these seats is often costly and well worth the expenditure for the ultimate viewing experience. In a media room, seating can be random, with a nice couch flanked by bean bag chairs or foldable chairs that can be put away when more standing room is needed for the big game. Seating is only meant to be comfortable enough. You can watch a whole movie or binge a television series in here, but you might grow uncomfortable at certain times. 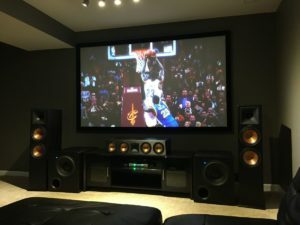 The sound in a home theatre is meant to replicate the sound that one would hear in a major Cineplex that charges ten dollars or more per ticket. Immersive, surround sound requires large speakers installed by a real professional who understands what real theatre sound is and requires. The sound in a media room is often great but has speakers that can be purchased at most electronics stores and can often be installed by the homeowner. While a professional or a contractor may be needed to install these smaller speakers in the ceiling or the walls, it is vastly different than a true home theatre’s sound system, as it won’t be able to deliver the same depth and realistic detail in audio quality. It all comes down to what type of entertainment experience you want in your own home. Do you want a room that has many different uses with lower quality? Or do you want a room that is wholly dedicated to a viewing experience with the best quality on the market? Whichever option you choose, make sure you call a professional to set up your media room or home theatre. 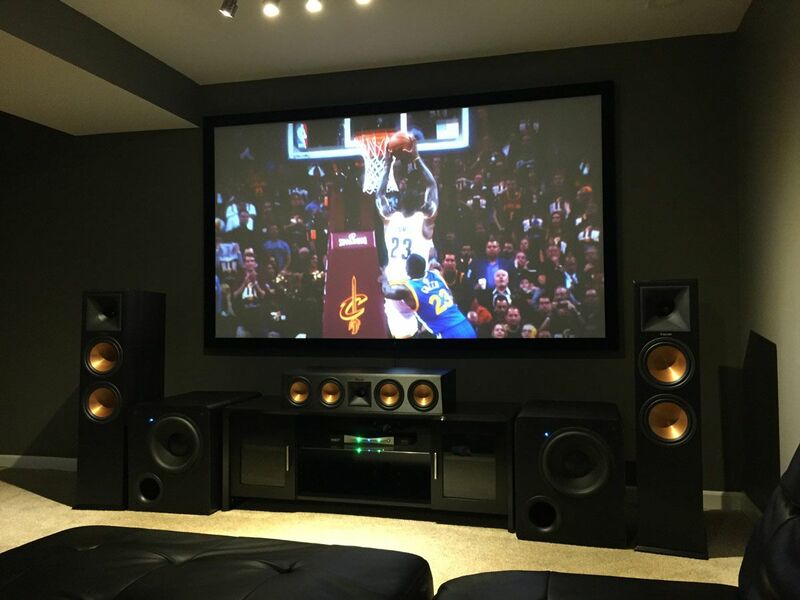 At Abtec Audio Lounge we have been serving the New Zealand market for more than 25 years with high-end home theatre and media room installations. Contact us today to arrange a consultation.